Image Frame is a Photoshop-compatible plug-in for Windows developed by ImageSkill Software (http://www.imageskill.com). 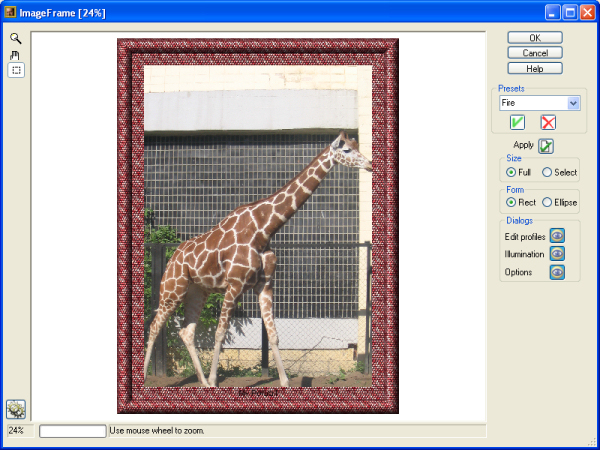 Image Frame is intended for easy creation naturally-look 3D frame. Using Image Frame you can easy personalize your photos. Add frame and text to your pictures. You can apply rectangular and elliptical frame, change frame profile, material, and lightening. You can add text and effects to image as well.